Note: All of these candies are made in the USA, EXCEPT the red and green starlights and striped ovals which are made in Colombia. Ingredients: Sugar, Corn Syrup, Natural and Artificial Flavors, U.S. Certified Food Colors Including Yellow #5, Yellow #6, Blue #1, Red #3 and Red #40. I order the Christmas hard candy and lemon drops. So glad to be able to have it year round instead of just Christmas! Recently it has been hard to find the 16 oz size of this candy (I like "Christmas" type hard candy all year round. Also, the price was great! My parents love this candy. I usually only can find this candy in stores during Christmas time. I was so happy to find that I can buy this candy online all year around for them. They just love it. I have it delivered to their home and as always it is delivered on time as promised. Finally!!!! A amazing store with reasonable prices, excellent customer service, and on-time shipping! It's hard to find that kind of service anymore! This is the place to shop....no question about it! Products are fresh and carefully packaged to ship. You'd be hard pressed to find a single complaint with this store! It doesn't get any better than this!!!!! Having a bad day? Late to an appointment? Someone hollering at you? Overwhelmed with co-workers, kids or spouse?????? 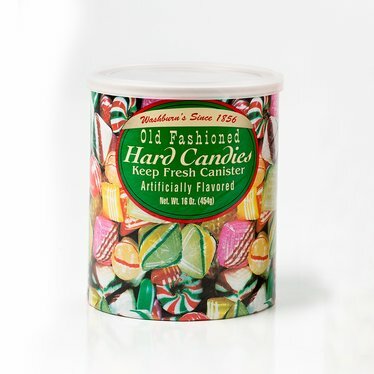 Just try one, just one "Old Fashioned Hard Candies" and you instantly relax, smile and savor the moment!!!!!! Thanks for making my days always perfect and wonderful!!!!! Delicious ! Purchased these candies so all my grandchildren could enjoy the experience of old fashioned Christmas candy! They love it!! Thanks for the quality of made in America, Lehman's!!!! Merry Christmas! Keep up the great work of spreading family values and family centered, Faith - filled Christmas! It doesn't get any better than this. If you are having a bad day and you happen to have a can of your Old Fashioned Hard Candies, just pop one into your mouth and watch your day turn to the "Perfect Day"